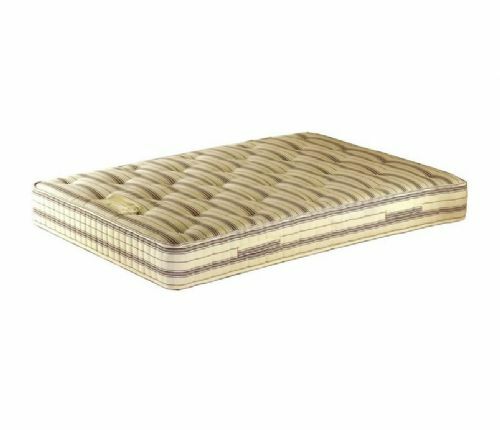 Our mattresses are available in various sizes and finishes to complement your bed and can also be made to bespoke sizes. 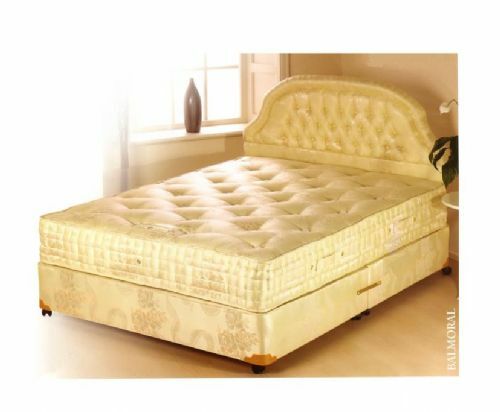 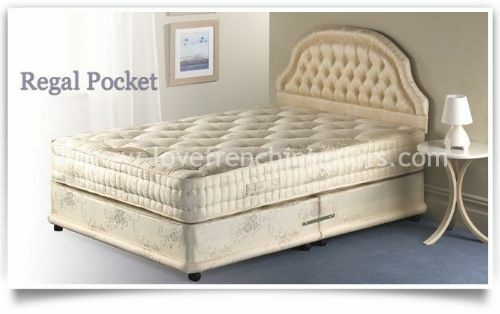 They are hand made in the UK and available in different styles and with different levels of firmness. 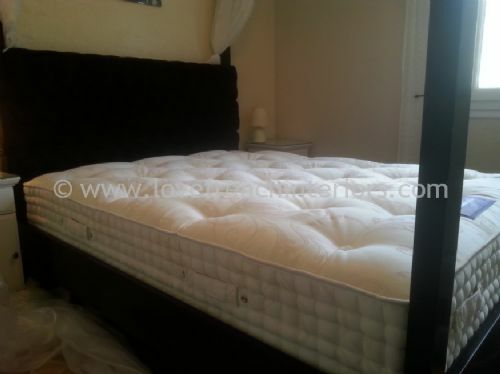 As well as standard Single, Double, Kingsize and Superking size mattresses, we can also have mattresses made to measure and of different thicknesses with a firm or medium base. 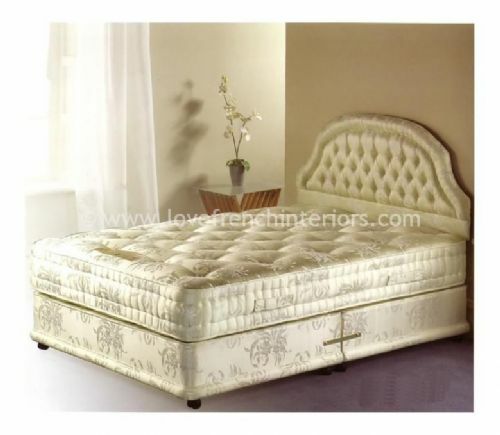 They can be fully customised to suit all needs. 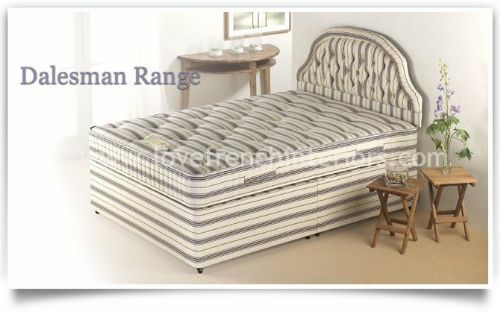 We can also offer a selection of quality divans upon request. 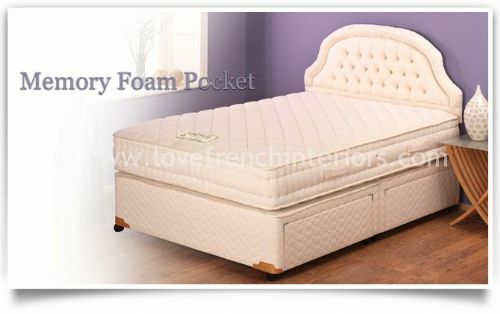 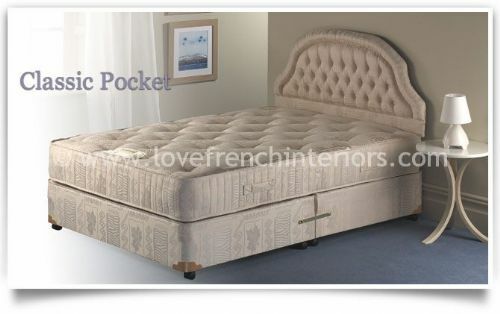 To complete your french bed we have a collection of headboards or for a complete bed our bed collection can be viewed here.